This is a nice quality little Japanese Maple (Deshojo) bonsai tree imported from Japan. 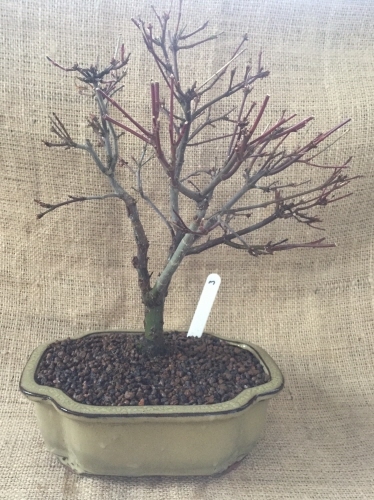 With it's stunning red leaves this species is one of the most highly prized of Maples used for bonsai. Place in shade during the hottest months to protect the delicate leaves from scorching and water well. With some time and the correct care the branch structure can be built on and improved in no time at all. .